Mike Kelly mentioned to us at this point it's all about broad strokes and what we could do to make the level seem finished, this would help us push through the last part and let us then focus on the details more, so we focused our priorities and tried to fix the big issues in our level. 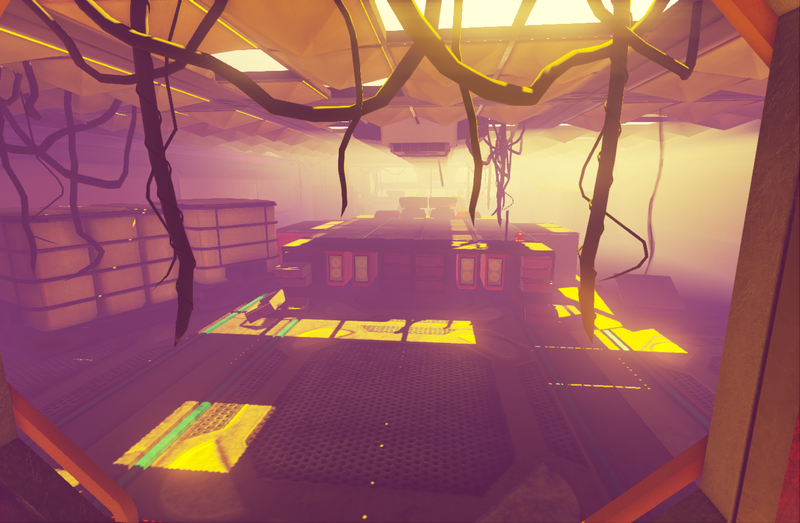 I added in directional lighting plus the ceiling panels Amber created and the 3D Vines Lucy made, it's amazing how quickly the lighting ties everything together. Also the fog is looking really cool, here makes it look very humid, just as we wanted. In terms of the colours we tried to keep that retro colouring so everything looks slightly washed out contrast wise but still very saturated. Here is more of the bridge showing off the front window was left quite late but is needed to push the depth in the room, The bulkheads and the ceiling panels also help to bulk out the room and fill up all the empty space. Here is the corridor in the habitation area filled in the door Amber created from my drawing plus Beth's cryotube. 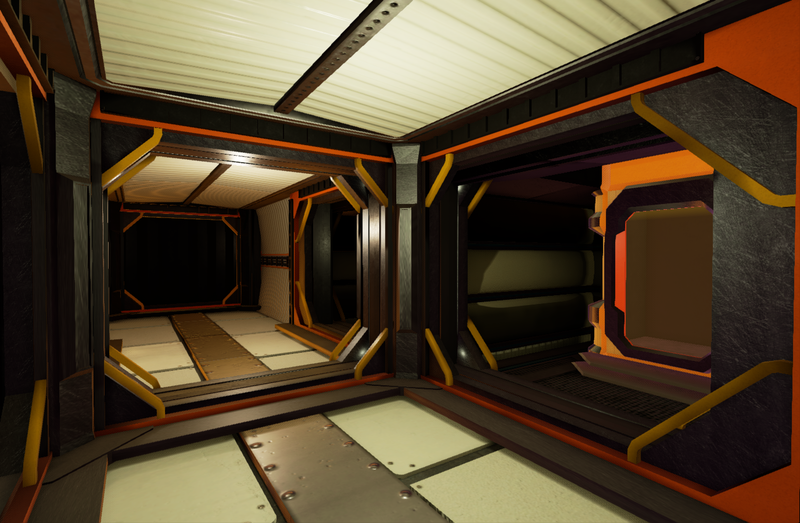 I modeled some trim pieces here for the corner of the rooms to the player can't see horrible intersecting at the corners of the doors. From now on is pure crunch, seeing as we have a day not working because of our whole team attending VFX festival in London. Really excited for that! 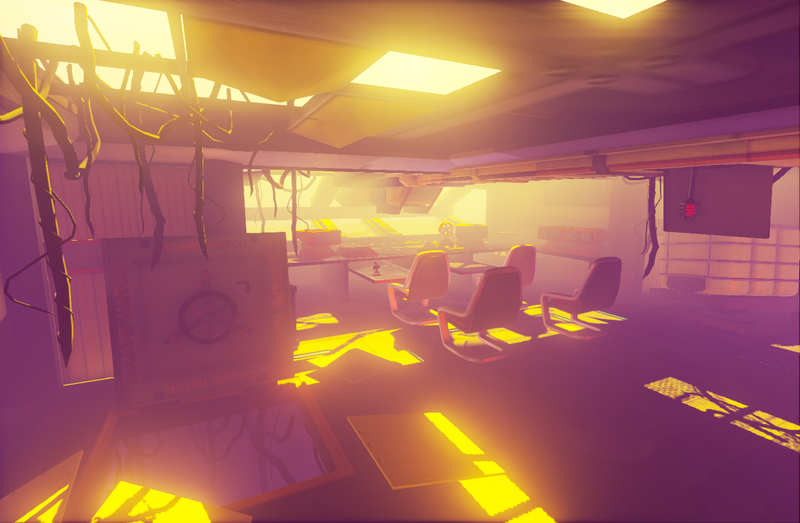 At this point there are still a load of things to sort, lightmapping seems to be an issue that keeps cropping up and some more computers need to be modeled for the bridge but I'm confident we can get through it. The level is starting to have a bit of cohesion now and that already makes me excited for when we start dressing it in all the plants and biolumiscent mushrooms we have made.